Walking down the boardwalk along the Mediterranean you approach the steps leading up to the largest aquarium in Europe, the Barcelona Aquarium. This oceanarium is the only one of its kind in Europe and houses 35 different aquariums depicting different marine habitats, with 11,000 animals of 450 different species and all in 5 million litres of water. 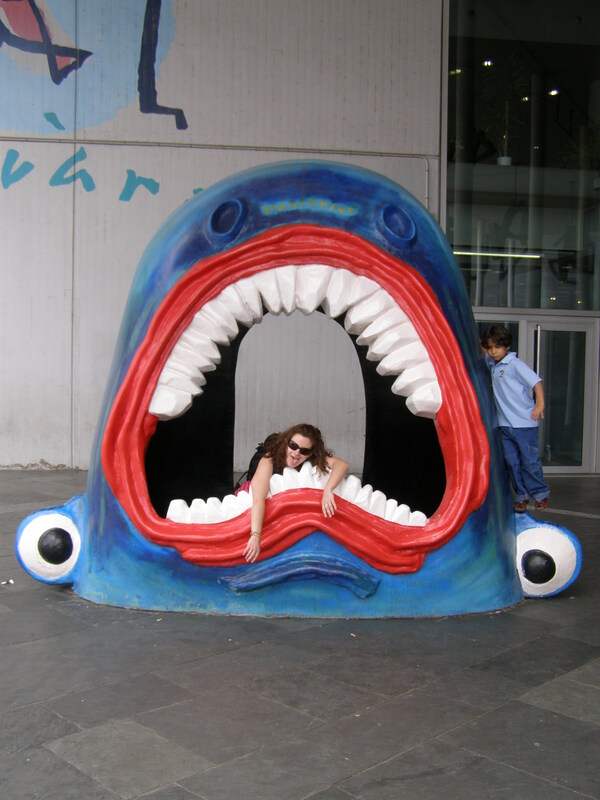 Other than the desire for a reprieve from the heat of the stunning sun, the giant shark jaw caricature that stood at the entrance definitely drew us in for the obvious photo-op. We took turn draping ourselves over the teeth and enjoyed hamming it up for the camera. 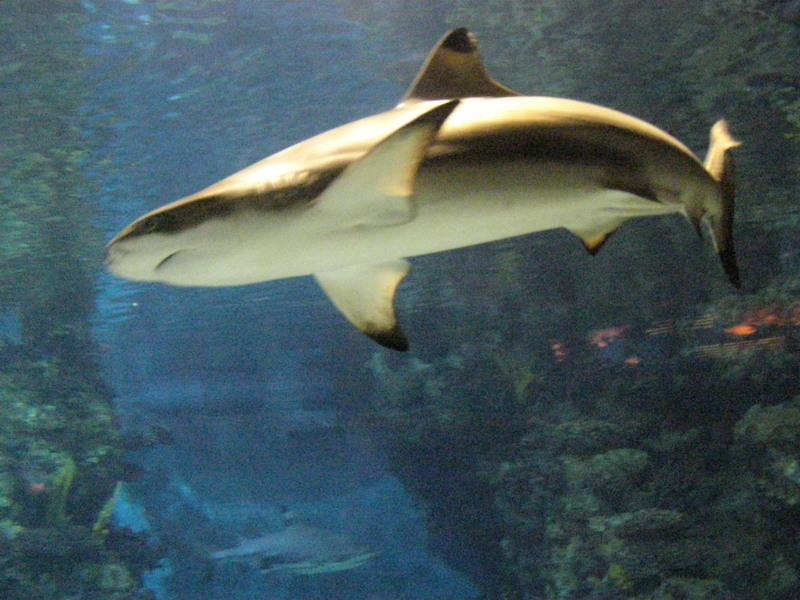 Barcelona’s Aquarium is the most important aquarium in the world on the subject of the Mediterranean. The Mediterranean has a large variety of ecosystems and species. 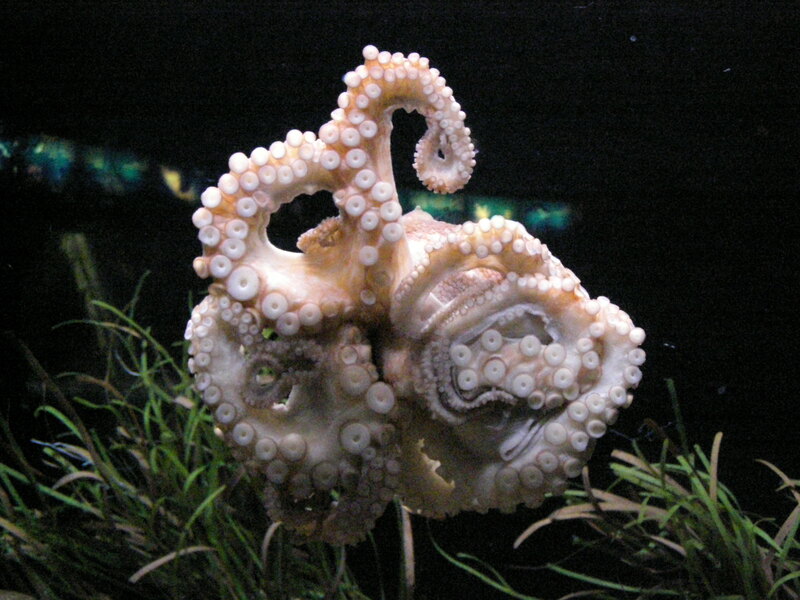 At the aquarium you’ll encounter many of the Mediterranean’s amazing species like cuttlefish, which is a popular menu item on the port – but after seeing their sweet, gentle nature my friend Stacey swore off ever eating them again, as well as other species from around the globe like playful Humbolt penguins. Other species you’ll meet include; moray eels, octopus, common stingrays, sea horses and a wide variety of sharks like the basking shark, sand tiger, sand bar, blunt nose sixgill and the angular rough sharks. Amongst the beautiful tanks there are more than 50 interactive activities to touch, look at, listen to, investigate and discover. One of which is a large touch tank with rays. Another great exhibit is Explora!, an exhibit made for children with various interactive activities to explore and learn from. Not only are these exhibits great for young children but also the young at heart. But don’t worry there are also adult activities and workshops, one of the big sellers being a dive with the sharks. The big attraction is the 80 metres of underwater tunnel with glass roof and sides housing; ocean sunfish (that can reach weights of over a ton, and a species I had never heard of nor seen before! ), moray eels and numerous species of sharks. Entering into the tunnel you are given the option of an electronic walkway or to stroll through. We were all in awe as we gazed at large sharks glide over us with a glimpse into their sharp toothed grins. It was literally like being face to fin with a slice of the ocean. 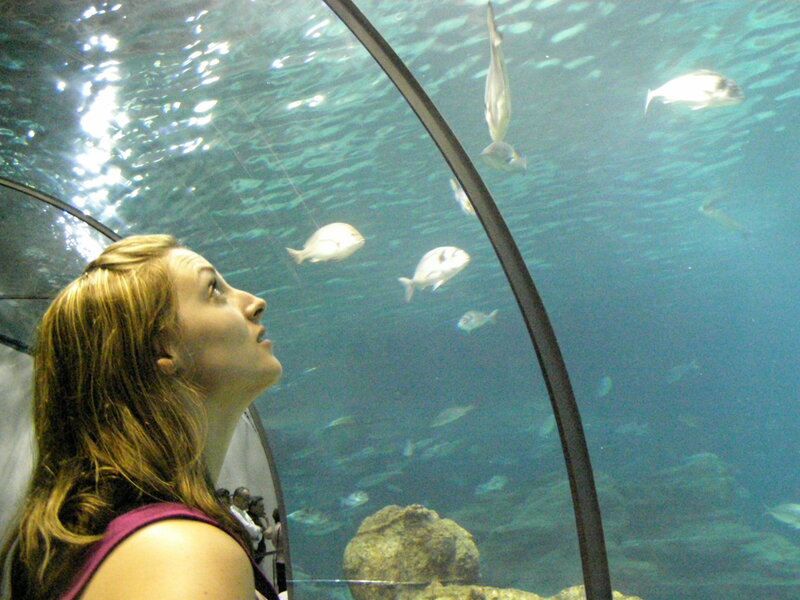 If you’re looking for an educational experience for the children or simply a leisurely stroll in a Mediterranean Sea world, the Barcelona Aquarium is the place for you!